With the introduction of online marketing, the concept of marketing has taken a dramatic turn. Now, marketing is not restricted to a brick and mortar place; it comes with you wherever you go in the form of e-commerce and this is the very essential feature of online marketing. As you know, e-commerce is a specialized field of marketing and it requires an experienced agency to design your e-marketing website. Among the several web designing agencies; Instaacoders Technologies has earned the recognition of being one of the leaders in the design of such specialized websites. One of the unique features of services offered by Instaacoders in the field of e-commerce is a tailor-made solution to the specific need of the client. 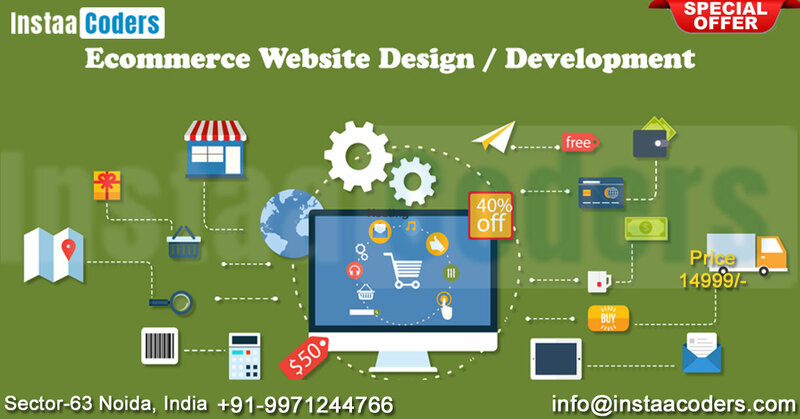 The technicians of Instaacoders understand that every e-commerce business is unique and therefore the design, maintenance, and development of such website should be made on one to one basis. It may be a shopping cart or payment gateway or application of mobile app technology for e-commerce; every tool should be exclusively client’s utility driven. These websites are designed to be user-friendly; the agency allows the client to choose the template and even start designing the website from scratch. CMS and Cloud and so on. The agency has sufficiently qualified and experienced technicians who always ensure that the targets are achieved as per the delivery schedule and tasks are completed to the entire satisfaction of the clients. The agency has secured several positive reviews and it has earned the goodwill of hundreds of its clients. You may visit the Instaacoders Technologies to know the various specialized services available.